Team Cayman warms up during their final session before their opener vs Jamaica. 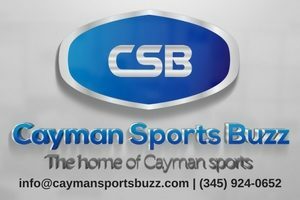 Although the Cayman Islands open their account in the Concacaf Nations League Qualifiers on Sunday, 9 September 2018 away against the Reggae Boyz in Jamaica, football fans back home are being given various options to view the game live. Concacaf, the Confederation of North, Central America and Caribbean Association Football, has arranged for as many people as possible to see all of the games of the competition featuring 34 countries. ‘Concacaf GO’, our first-ever Over-The-Top (OTT) direct to consumer platform. 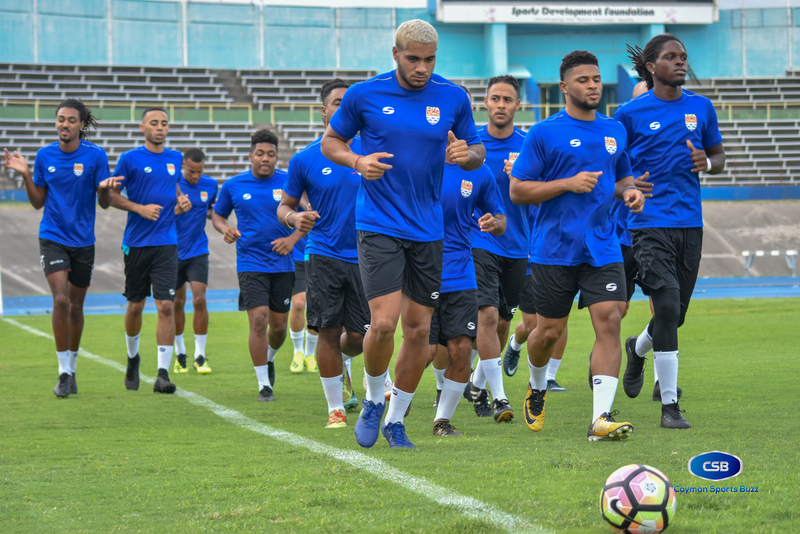 Through this new content platform, you will be able to watch live the Concacaf Nations League Qualifiers action. 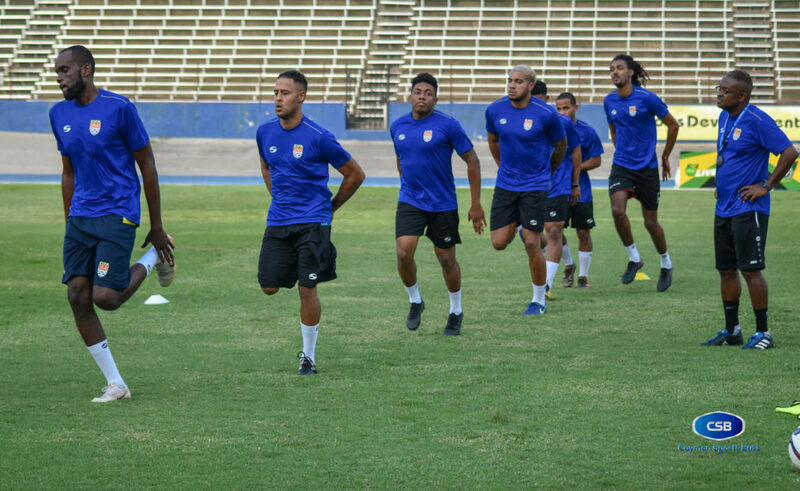 “In order to ensure our Concacaf Nations League Qualifiers are available to our fans across our region and the world, we are providing Concacaf GO initially for a 3-month free trial, where specific territory blackout restrictions do not apply due to existing broadcast commitments,” a statement from the confederation pointed out. Currently the service is available via web version, but in the coming months users will be able to stream content via a Concacaf GO App on iOS, Android and Apple TV devices. The web version of Concacaf GO can now be accessed via the following link: https://www.oz.com/concacafnationsleague. 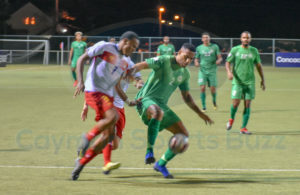 Some of the games will also be shown on Flow Sports and are also available at the Concacaf Nations League Facebook page. Captain Ramon Sealy (left) leads a warm-up drill as coach Joey Jap Tjong observes. 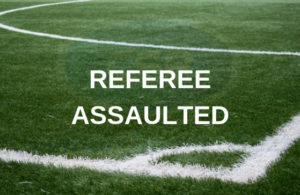 “Through the eyes of our Nations League, we have all pledged to make our game more accessible and competitive for our teams, coaches, players, referees, administrators and fans. Together we are showing the world that football at Concacaf goes beyond the field,” said CONCACAF President Victor Montagliani. 9 September 2018 at Jamaica 7:00 p.m.
14 October 2018 at Dominican Republic 5:00 p.m.